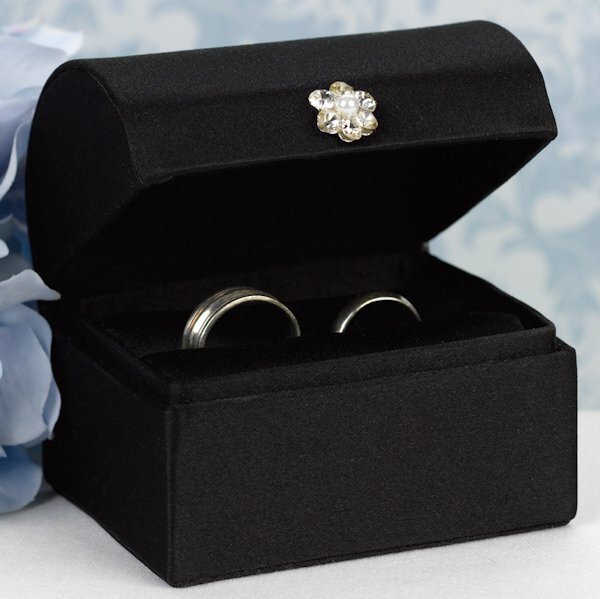 A great alternative to the traditional ring bearer pillow, these satin wedding ring boxes are available in black or white satin with a treasure chest style and a sparkling rhinestone flower accent. 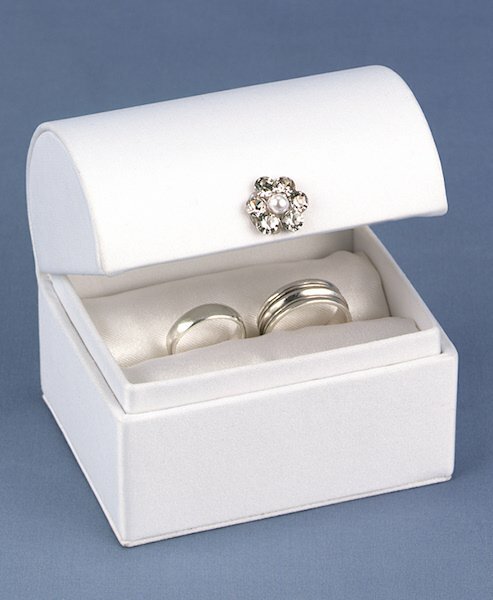 The box measures 3" by 3 1/2" and will remain open for showcasing the rings. 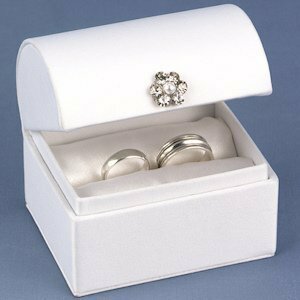 If you're nervous about attaching your wedding bands to a ring pillow, this option keeps them safe and allows your ring bearer to still actively participate in your ceremony!Note: The box is designed to stay open as shown so the rings can be seen, it will not close.